If you have been a reader friend of mine for a while, you know Tuesdays are typically an outfit post on the blog. Sorry, friends. You will have to come back tomorrow. I even had one all written up and ready to go. At the last minute, I changed my mind. I hope you stick around for another winded one. I think it's something we can all relate to. My heart has been weighing heavy lately over relationships, partnerships, marriages...not my own, but others around me. Ross and I hit a rough patch about a year ago and both of us could have easily walked away, BUT we didn't. I have been praying, asking for God to convict me and help me understand why the things happened that did. It is finally becoming clear to me. We were supposed to endure the things we did to help others find their way back home...to each other. As we all know, relationships and marriages are complicated. It's seems to be so easy, these days, for people to wash their hands from commitment and dedication. I am not saying that people shouldn't get divorced, I am just saying that so many "walk" out on one another and don't stick around long enough to fix things. 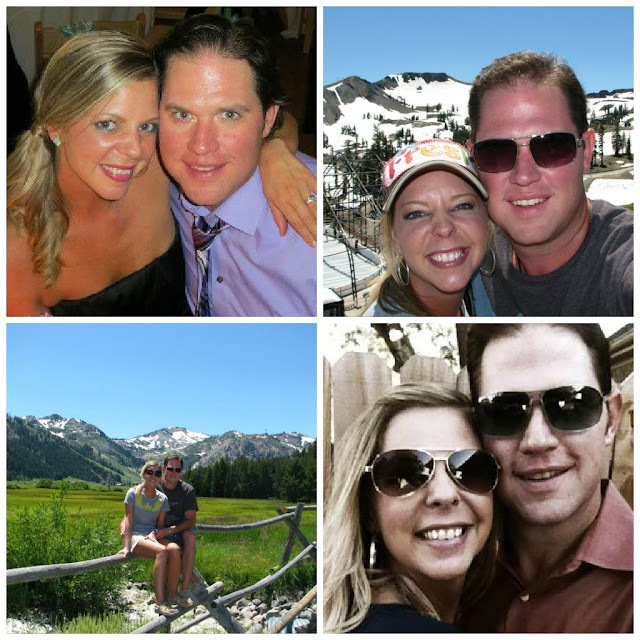 I am one of the lucky ones who had the opportunity to make things right in my marriage. It was a team effort. I am so blessed that God gave me Ross and our love for one another is unconditional, unselfish and undying. Whether you are single, in a relationship or married, keep in my mind that hard work and dedication pay off in the end. Nothing in life comes easy. We all will have struggles, tears, road blocks and a feeling of wanting to give up. At the end of the day, all of that makes us stronger. If you stick it out, it will be worth it in the end. As long as there is love...a true, raw, can't live without it LOVE. But, you have to truly love yourself before you can love someone back. I thought I would share with you a few pictures of my true love. One that a grabbed a hold of me in the 7th grade and never let go. 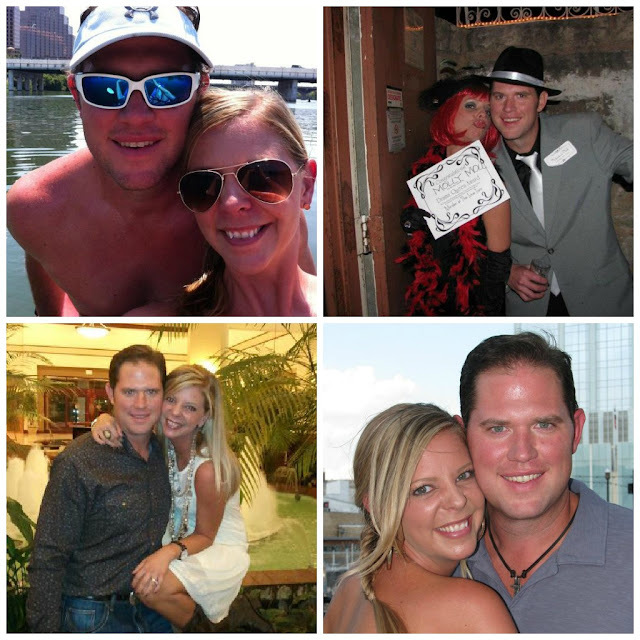 These are a few reasons, serious and silly, why we have been married 12 years now. - I am not perfect! So, if you are facing turmoil in your relationship right now, know that you are not alone. This could be between a friend, a relative, partner or husband/wife. Love is worth fighting for. Don't make swift decisions that you will regret down the road. surround yourself with ones you can't live without. 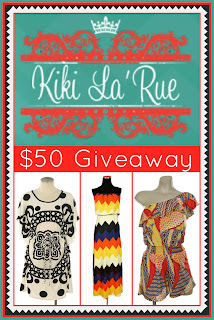 Don't forget about the Kiki La'Rue giveaway going on right now. Have you entered? What an amazing post Shanna! I agree with what you said, I think people do walk away too easily nowadays without trying their best to fix things first. You are both obviously so lucky to have each other! Wow. You know all the things I've been dealing within my relationship, so this post hit home! Love this, Shanna! You remind me of myself in so many ways! And you are BEAUTIFUL inside & out! Thanks for sharing, girl! This makes my heart so happy! SUCH an important post...everyone needs to read this and remember how important our relationships are! I love all of your "even thoughs"--I can relate to A LOT of them! You're a precious lady, don't ever forget that! Happy Tuesday! Aw! I loved this post! SO sweet! I think a lot of girls are after a wedding and not a marriage, you know? Marriage is for better or worse and it. is. work. This post is so beautiful and inspiring, Shanna! (Teary eyed) I feel compelled to put together similar lists. I so agree with your thoughts and words...thanks, girl! That was beautiful! You are very lucky to have such an amazing husband. And I'm sure he thinks you're the best thing that has ever happened to him. Bravo! Beautiful post! I agree with you on all points. Every successful relationship is a team effort. Its sad how easily people can give up and walk away. I laughed out loud at the Halloween costumes! Well said Shanna! 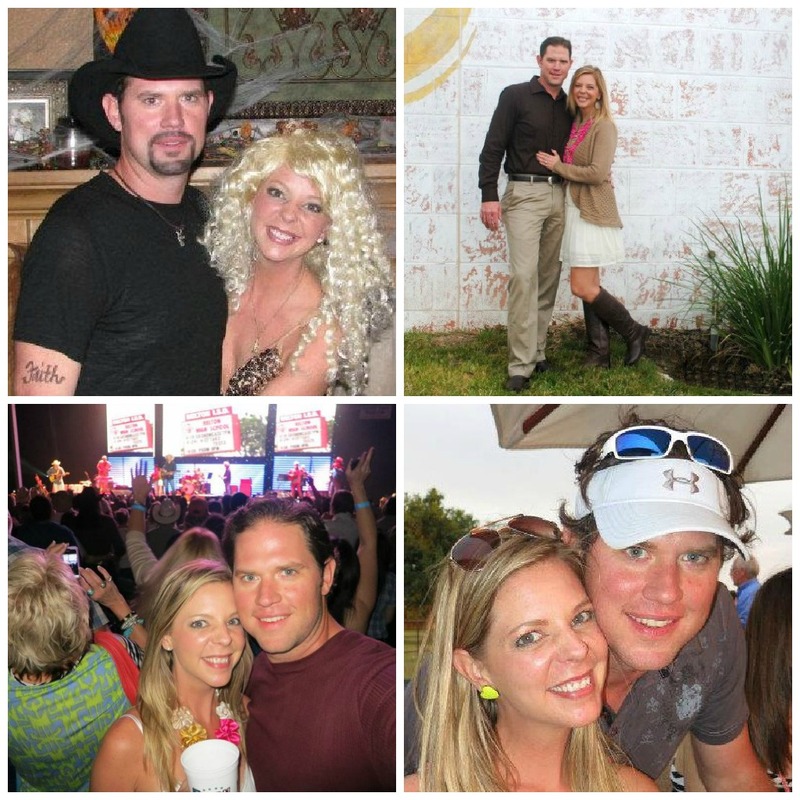 Here I thought you were writing this post about me... :) We've all been there girl, glad you have a supporting, loving husband to enjoy this ride with! I live that last one..surround yourself with people you can't live without!! Perfection!! Love this!! Needed it today, thank you. I am learning to push through things in my current relationship. Thanks you! You said it perfectly, Shanna! It's easy to "walk away" when things get tough. My ex boyfriend did that to me two years ago and it was the hardest thing I ever went through. I didn't understand it at the time, but now I'm glad he did because I have Billy. It's nice being with somebody that you know will be there, by your side, no matter what. Way better than an outfit today! Loved every word. Perfectly expressed. Beautiful and heartfelt. Great post! I think there is just a general lack of commitment sometimes. Did you know you can rent wedding rings? If that doesn't tell you how much society truly values marriage...I think also that our culture has an unrealistic view of what love is supposed to be. It isn't those romantic feelings. (Of course they will be there in the beginning because every new relationship is fresh and exciting.) Love is a choice and living a life of self sacrifice. Love is not about oneself but about the other person. Jesus is the perfect example of what true love really is. Shanna I appreciate this honest post! Thank you for sharing! I always love hearing stories when God works through marriages and makes them stronger! Love this post Shanna!! I think a lot of people don't realize how much work a marriage is and as soon as things get tough they walk away. I'm so happy you guys were able to work things out because you are an amazing couple and I can tell how much you love each other! I love everything about this post, especially your honesty. Thanks for sharing. Raw, honest and emotional...great post. You two will make it! i. love. this. post. so much. I absolutely love this post... Today, it's so easy to just walk away & not deal with the issues. Everyone has hard times & rough patches in their relationships, but it's those who stay and fight that are worth it. You are so right, it is a marathon, not a sprint. I always wondered what people meant when they said marriage was work and now I get it. We had some trying times right when we got married because everthing was happening at once (marriage, puppy, both got new jobs) and I was so scared. God brought us through it and knew we would cling to him and become closer to him in the tough times. Marriage is work, hard work, but fun and rewarding work. What is happiness without struggle along the way. Thank you for being so raw on your blog today girl! Makes me smile. Love you both! I loved every single word in this post! I'm in the midst of separating from my husband right now and even though I would do anything for our marriage he wouldn't. And I can't see myself giving 1000% and not getting that in return. I'm not giving up yet and hope to have exactly what you wrote about above. I love this and I love your honesty. It takes a lot to be open and honest in this blog world and your ability to do so makes me like you even more :) You are so right, it is a marathon and people do give up so easily and it is just sad. We have been reading The Love Languages book and it is SO good and I recommend it to anyone whether your relationships or struggling or not, it is so insightful and helpful! This is beautiful! I'm not glad you had hardships, but I am grateful that you have come through them and are in a place where you can encourage others! Thank you for sharing this and a being such a great role model! This was the cutest post ever. You two are SO ADORABLE! This is a great post Shanna. It does seem to easy to bail these days. But you are so right that it takes work. But I think that "work" is worth it. That was a beautiful post, Shanna. It's so relate-able. It really is hard work to maintain a relationship and you and your husband are a true reflection of how people can make it work even if it's not easy. Thanks for the honesty.. this was perfect to hear! Awww, what a touching post, Shanna! I could relate to so many of your "even thoughs." We're blessed to have such great men in our lives that love us and stick with us "even though." I NEEDED THIS...you have no idea how MUCH I needed this TO.DAY. Thank you. What a great post! And way to fight for your marriage. I think too many people give up too easily. There is nothing better than being married to your best friend... to someone who loves you "even though..."
This was amazing and I loved loved your honesty!!!!! Thank you for being so genuine! 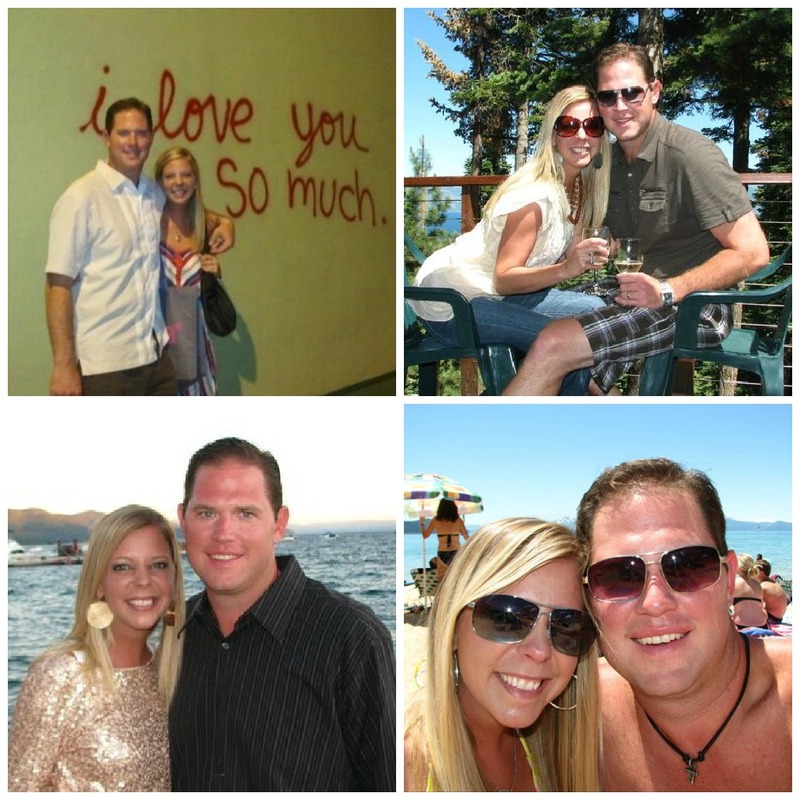 It's inspiring to me and I hope I can say the same things in 11 years when we reach 12 years of marriage!!! Great Post Shanna. Made me think of the saying..
"You may think that the grass is greener on the other side. But if you take time to water your own grass, it would be just as green." What a touching and honest post...absolutely beautiful, Shanna! Thank you for speaking right to me today. If they would just make castration legal I would have gotten over many bastards along time ago. I love this post. 7th grade?! Too sweet. This is so beautiful! You're lucky to have each other! Aw what a beautiful post!! I love the Tim McGraw & Faith Hill costume!! and it is important to work on your relationships. My husband likes to refer to it like a bank...if both people don't invest and make deposits into the relationship then you hit a bankruptcy in the relationship and you have to build back up....its sounds better when he explains it hahah. thank you for making me cry! I love you Shan, great advice and I am so happy for you and Ross! You are beautiful and I am happy he loves you even in your moments! haha!! Great post! I am single (boo! lol) but I totally understand what you're saying. You two are such a cute couple and good for you for making it work. I find it hard to believe that there is a couple that has never had to make things work. It's only natural. Absolutely love this post! So true and so well written! It's easy to think things are too hard and just give up. It was so much better than an outfit post. Thank you so much for your heartfelt thoughts. What a wonderful post! I imagine that you will have touched a lot of hearts with your words today! My husband and I have had moments where we felt like walking away but luckily we stuck it out and we are in a much better place today than we've ever been in before. It takes so much work to keep relationships going, but that is also what makes them so beautiful. P.S. I love y'alls Tim & Faith Costume! Im a newer follower of you blog... And I loved this post!!!! Like you said, I think too many ppl walk away when it gets tough... I know my husband did. We separated, he filed and then drug his feet so our simple divorce took twiceas long as it should have. Then 18mos later we both realized that we werent living the lives we wanted (I knew it all along, as I didnt want my divorce), so we decided to give it another shot. Its been 2 yrs now, and while it still may not be "easy", neither one of us is going to be the one to throw in the towel. I constantly remind myself how blessed and lucky we are to be given a second chance, let alone to have taken it! Thanks for letting me ramble, and for such an amazing post!!! I love this post! It is so touching! Marriage is a work in progress. You have to do the work to make any progress. people sometimes forget that it really is the hardest relationship to maintain but it's also the most rewarding. Loved this! Absolutely LOVED this post! As a single girl still trying to find 'the one' I'm constantly distracted by unhealthy marriages or ones that don't work or last. It makes me second guess relationships and marriages. Reading a post like this opens my eyes to the fact that successful marriages still happen and amazing, fulfilling love certainly still happens. i LOVE LOVE LOVEEEE this! thank you so much for this reminder! What a wonderful post. So glad you decided to write it. Something we all need to hear :) You make a beautiful couple! this post was absolutely perfect Shanna! you made me cry tears of joy ;] such a personal post & so many people need to read it! so proud of you & Ross for making it through all the tough times & even in your worst moments. that is true love! love you so very much & can't wait to face time again soon! Such a sweet post, I almost teared up. You both look amazing together. You two are my heroes! Marriage really is a hard thing, and I think it's easy to not take care of our problems and let everything get ridiculously messed up. Good for you two for working through and becoming a stronger couple. And ps..I love that you wear matching Halloween costumes! Oh I love this post. It's true, and it's real. Glad you wrote it, girl!! You two are so cute together + this was such a lovely post! I love that you shared something SO personal. A relationship is definitely a team effort and it is not always easy..I agree! You are so beautiful inside & out lady!! Thank you for sharing this :) love ya! I haven't been able to read many blogs this week but I just wanted to say this post made me tear up! I've only been married just over a year but I already know how hard marriage is and how much work it takes. This was such a sweet, honest post and I thank you for it! Shanna, this was amazing!!! It is so good and refreshing to hear that even in the best of relationships, it isn't always easy. I think we're sold this idea that if we meet "the one" life will always be sunshine and butterflies and unicorns and you'll never fight and everything will always be perfect - and that's just not true, or realistic. I'm glad you two came through stronger than ever, and that you're able to take what you've learned and help others. Bless you, sister! Very sweet post. It's so true that marriage is "work". The rewards are worth the ruff times though. 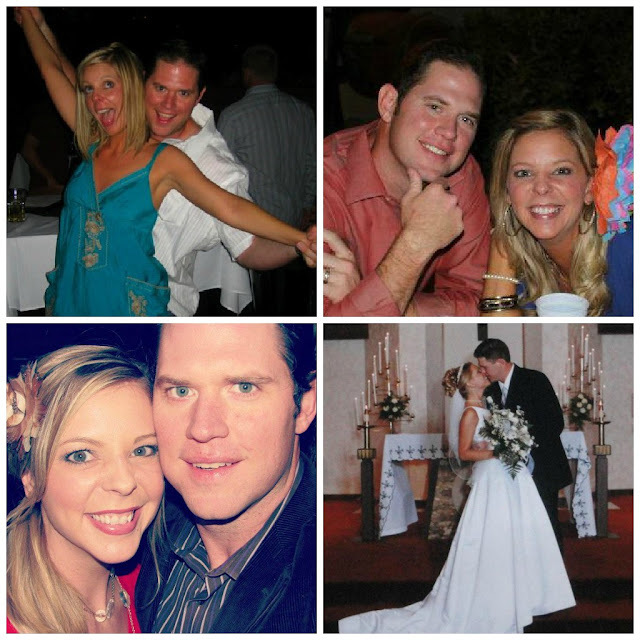 I love my hubby, we are celebrating 9 years together this week. :) You guys are so cute. OMG! OMG! OMG! I'm totally in love with this post. I'm not married yet but I can really related to most of the things that you have listed here-especially the one about being on the phone too much because you're addicted to social media. My honey is ALWAYS giving me the 'side eye'.